In the heat of summer, prosciutto wrapped figs are perfect for a light appetizer packed with flavor. The savory prosciutto balances the creamy sweetness of the fresh figs, satisfying every one of your taste buds. Prosciutto wrapped figs are easy to assemble for a last-minute gathering – or just a quick snack at home – capturing the best flavors of the season in a sophisticated snack with an unusually short prep time. Serve them on their own or with other fresh fruits, cheese and nuts for a versatile, party-perfect platter, ready to be enjoyed indoors or al fresco at any time of day. Pair with a beer that can stand up to the sweetness of figs, like a Barleywine. Cut each fig in half, lengthwise, and each prosciutto slice in half, crosswise. 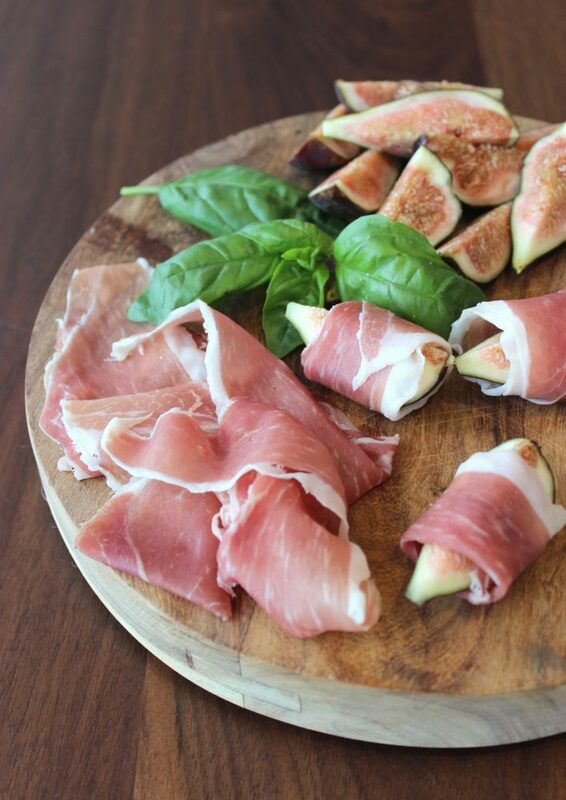 Wrap each fig half with a slice of the prosciutto. Repeat with remaining ingredients.